Inspired by the great villas of Rome and the Italian countryside, Casa Lupa sits on nearly six acres in the heart of Atlanta. 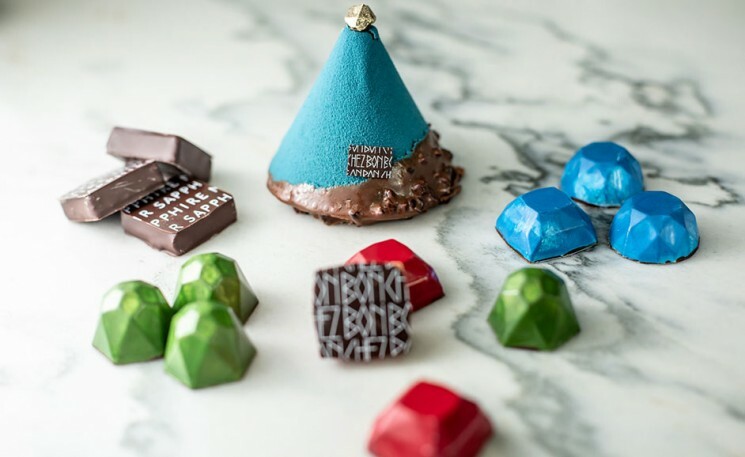 “Lupa” is the nickname of one of the owners, and is also a reference to the legend of Rome’s founding. 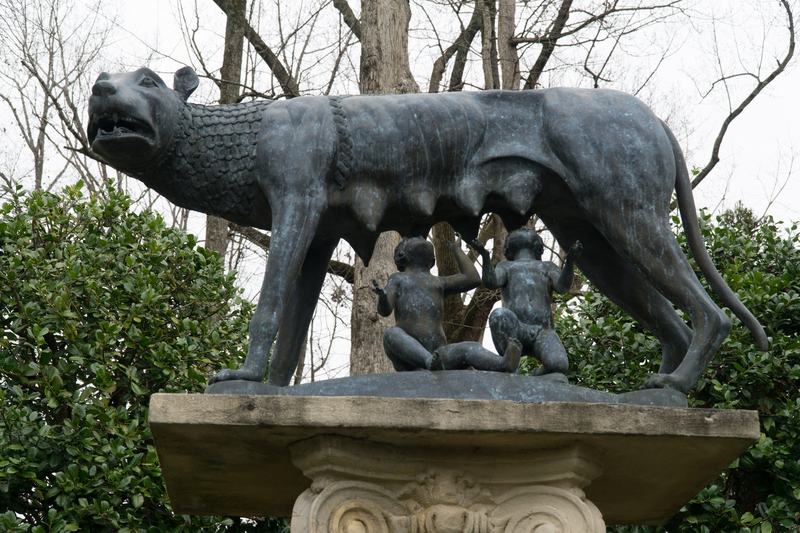 Lupa Capitolina (Capitolina Wolf) is a bronze sculpture of the mythical she-wolf who suckled the twins, Romulus and Remus. 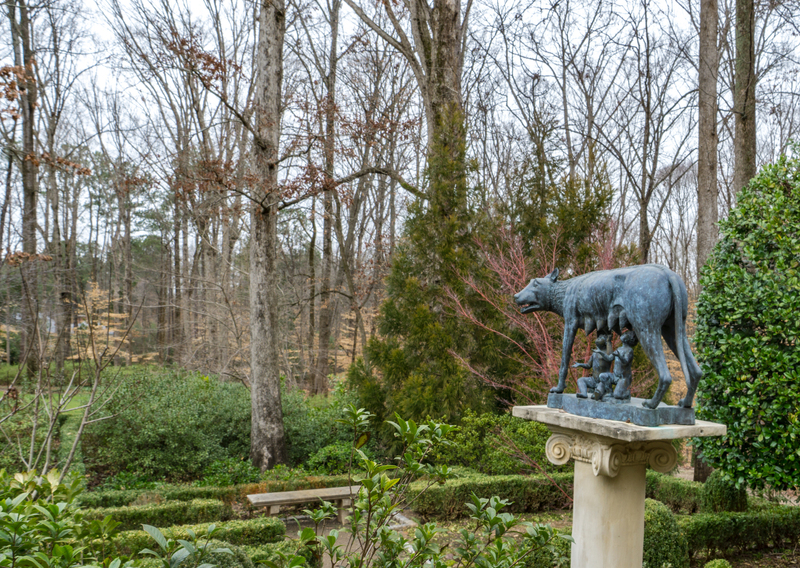 The original statue stands in Rome, Italy, but a replica that was made for the city of Rome, Georgia, now overlooks the garden here at Casa Lupa. .Wildlife, including deer, are frequent visitors, and the home was designed to make you feel far from the city. Over 3,000 boxwood hedges cover the manicured grounds. The owners made 18 trips to Italy in constant pursuit of inspiration and research in order to create an authentic Italian estate. Bullnose corners, which were incorporated as one of the design features, are common in most luxury real estate in Italy, but seldom seen here. This technique is carried throughout the home, surrounding all window frames and arched doorways. Everything was done with a purpose in mind, including the design of the ceilings. 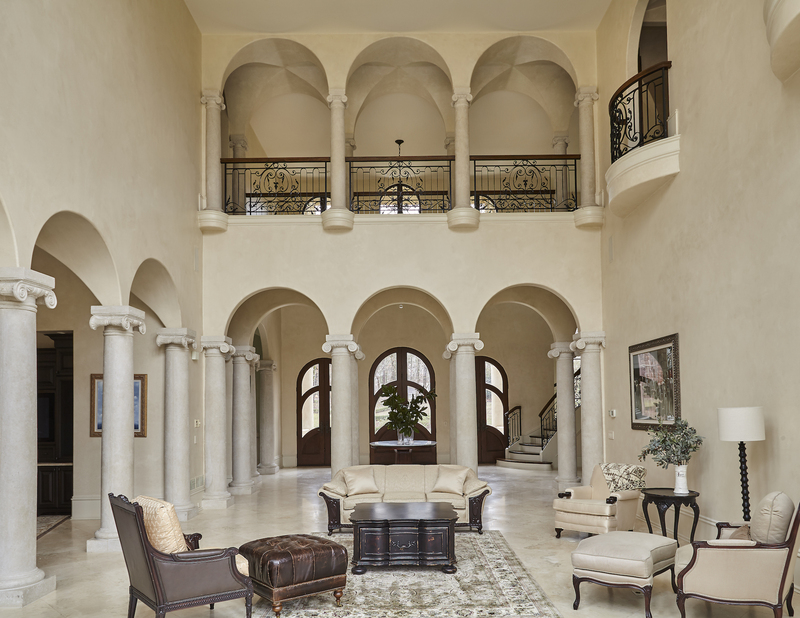 Groin vault and barrel vault ceilings are showcased beautifully in Casa Lupa. Construction began in 2006 and was completed in 2007. The floating staircase leading to the top floor was the largest one found in a private residence at the time of building. The wrought iron railings throughout the estate match the custom designed entrance gates. Travertine floor tiles were brought in from Italy and intentionally cut from one run to uphold the same design aesthetic. On the top floor, there are 4 large bedrooms, 4 full baths, and a bonus room. Upstairs, the rich walnut wood floors wonderfully complement the custom Brazilian walnut interior doors found throughout the home. Commissioned directly from a family-run business in Brazil, the Brazilian walnut is also featured in the garage doors and front doors. Scagliola is a century old technique used to achieve the look of ancient Roman marble monoliths. 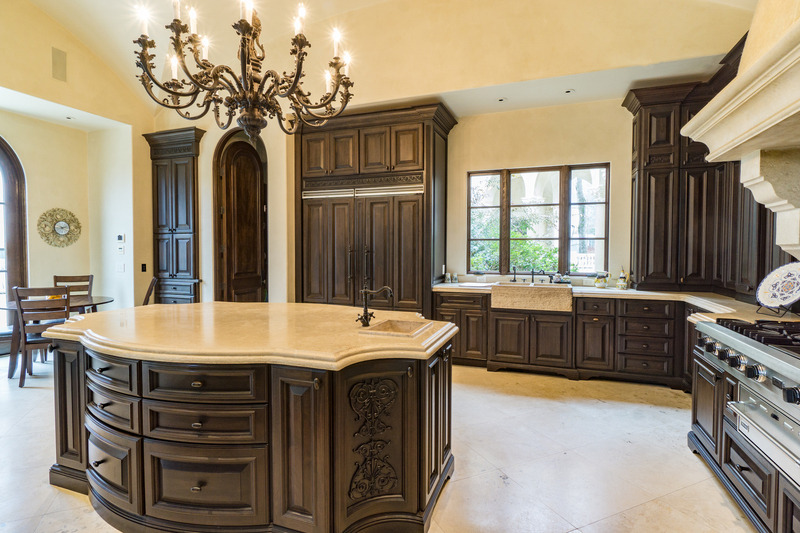 François & Co expertly used this technique in constructing the estate’s many columns, 6 fireplaces, and custom hood featured in the kitchen. A walk-in serving pantry, which serves as a large catering area, is accessible from the attached 4-car garage. In the terrace level, you will find a replica of a wine cellar the owners discovered in Bologna, Italy. The tiles on the barrel vault ceiling are laid in the exact pattern found in the Italian wine cellar. The saltwater infinity pool is lined with tile and has a swim up bar with barstools. 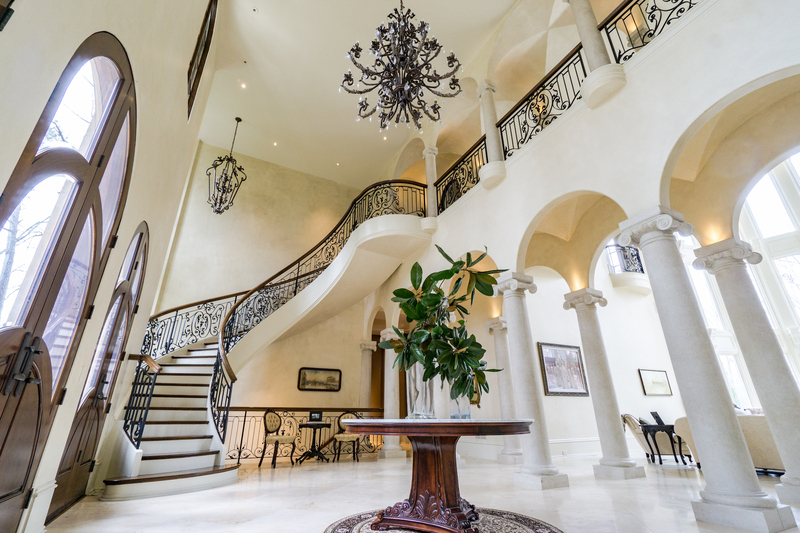 This lavish estate is listed for $8.85 million with Harry Norman Realtors and is showcased by Luxury Portfolio.